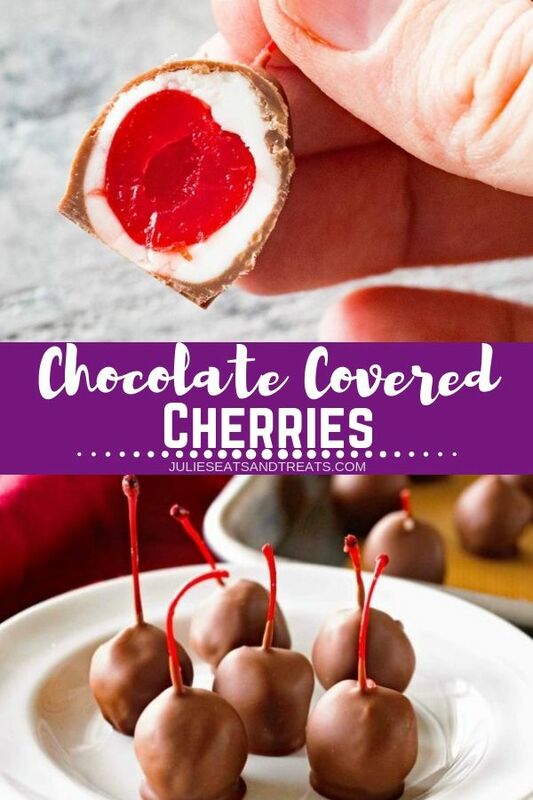 Do you love Chocolate Covered Cherries as much as me? I grew up on the store bought treats, but now that I know how to make them at home I’ll never have them another way. 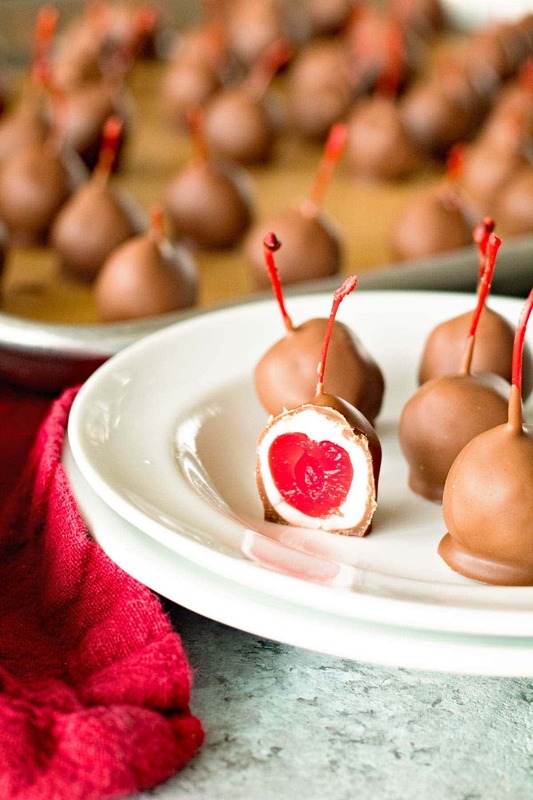 These are great to make ahead and store in the freezer for the perfect Christmas treat recipe. Your holidays won’t be complete without these! Memories. They are a great thing aren’t they! As I get older they get a little bit more treasured every year. I also try to focus on creating them for my kids. These Chocolate Covered Cherries made me reminisce about Christmas as a child. You see, no one like them but my Dad and I, so we always fought over them! Not sure why we fought, as there were plenty to go around. We always ate the ones from a box, but I had to try to make my own this year! They weren’t nearly as hard as I had it in my head they would be, just took a bit of time and planning! 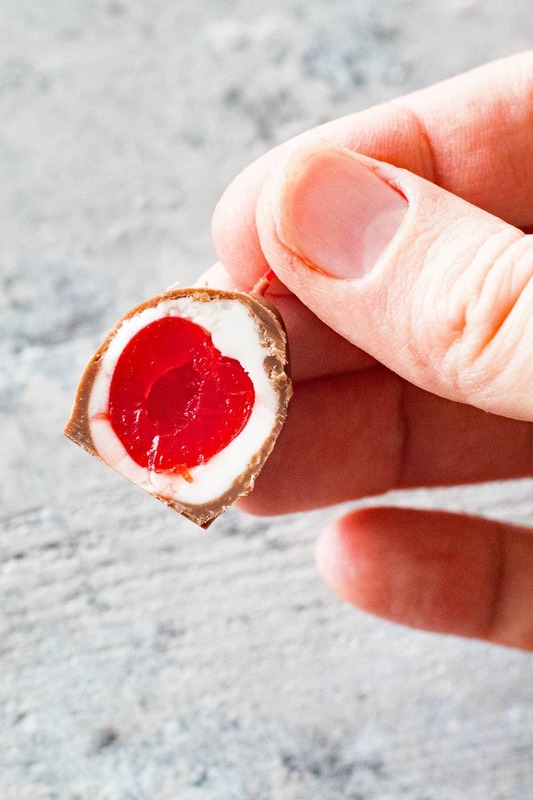 You just take a Maraschino Cherry, roll it in a powdered sugar mixture and dip it in chocolate almond bark! The hardest thing is just waiting to let them sit up between the rolling in powdered sugar and dipping. Also, these are best if they sit for two weeks, but I dug right into a few and thought they were great too! 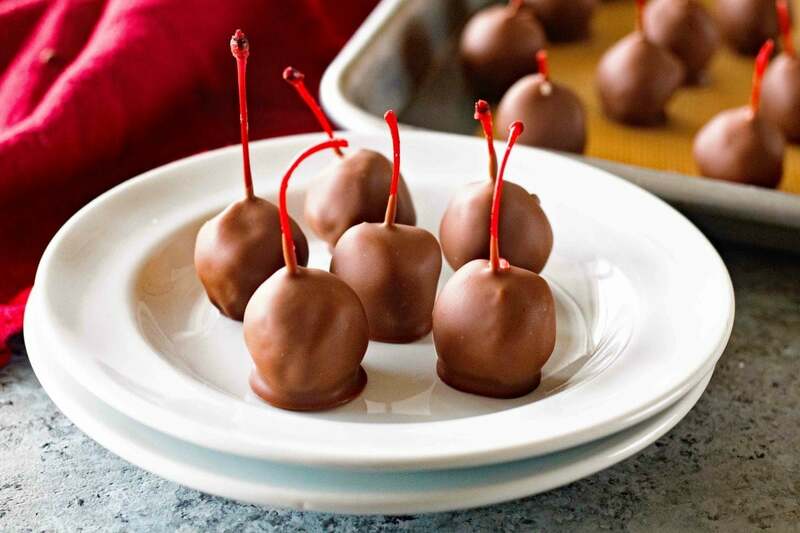 Tips for Making Homemade Chocolate Covered Cherries! Dry off cherries on a paper towel, blotting to remove as much juice as possible. Keep fondant mixture cold, if your hands start to stick to it, rinse your hands in cold water! Refrigerate cherries wrapped in fondant before you dip them in chocolate! Use Chocolate Almond Bark instead of chocolate chips to dip them because it’s easier to work with! 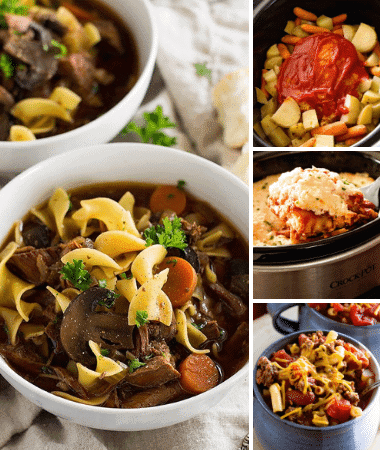 Refrigerate for two weeks or longer, before enjoying for the best results! Can chocolate covered cherries be frozen? Actually no, don’t freeze the chocolate covered cherries. Because there is so much moisture in the cherries when they freeze, the cherries expand. The layers crack and though they taste good, they won’t look pretty and presentable at all. Some other Christmas Treats I grew up making are Peanut Butter Ritz Cookies, White Chocolate Molasses Cookies, and White Chocolate Dipped Gingersnaps. Are chocolate covered cherries and cordial cherries the same thing? The difference between the two is cordial cherries contain alcohol. I like my version because they are family friendly! Let’s talk about those Christmas memories and traditions! What memories do you have? Every year my Grandma would give me a Hallmark granddaughter ornament. To this day they are so treasured, I get excited every time I go to decorate the tree. What is even more fun is that my kids are getting ornaments from my Mom now and they get all excited about it too! We have a whole tree full of Hallmark ornaments. When you have two other siblings, having a special thing that is just yours is pretty exciting! I can relate! I just saw my friend making these treats on Instagram and now I want to go make another batch! Mix together the sugar, butter, milk and almond extract until combined. Roll into 1 in. balls and flatten each ball into a circle. Wrap around cherries and tightly roll in hands. Place the cherries on a lined baking sheet. Melt the almond bark and shortening according to package directions. Dip cherries into the chocolate, cool on waxed paper to harden. Store in a covered container. Best if made 2 weeks ahead! What is the best way to store Chocolate Covered Cherries? After cooling, store in an airtight container in the refrigerator. 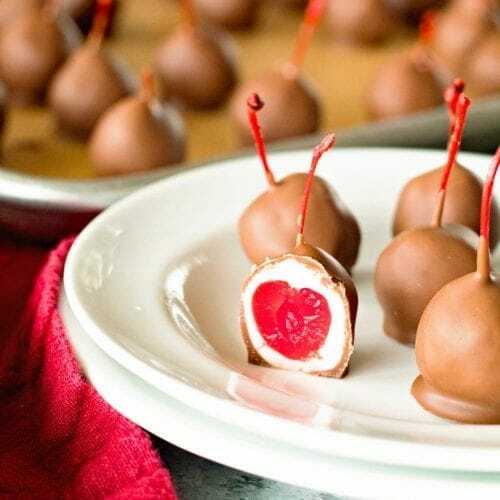 Go grab the ingredients to make this Chocolate Covered Cherries Recipe and start creating your own memories! I assure you they are 100 times better than the store bought ones! What’s on your holiday menu? Be sure to snap a photo and tag me at @julieseatsandtreats or #julieseatsandtreats! 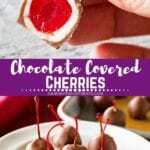 These chocolate covered cherries are great to make ahead and store in the freezer for the perfect Christmas treat recipe. Your holidays won't be complete without these! In a large mixing bowl combine sugar, butter, milk and almond extract. Mix until combined. Knead into a large ball. Roll into 1 in. balls and flatten into a 2 in. circle. Wrap around cherries and tightly roll in hands. Place covered cherries on waxed lined baking sheet with stems pointing up. Melt the almond bark and shortening in microwave according to package directions. Holding on to stem, dip cherries into chocolate, set on waxed paper to harden. Store in a covered container. I just wonder if this would work well for blueberries or strawberries? My hubs won’t touch cherries but loves the other two fruit. Wondering if this would work well with strawberries or blueberries? My hubs won’t touch cherries, but loves the other two fruit. I would think so but it might be a little tricky because they don’t have a stem to hold them by when you dip them. After the 1-2 weeks in the fridge do they have to stay in the fridge or could I possibly wrap them up as gift. Assuming they can be kept outside the fridge shelf life would probably only be a couple days? Thanks! If there’s some extra moisture in them they tend to have some of the syrup from the cherries come out of them. They don’t NEED to be refrigerated, this might happen though at room temperature. These would a cute addition to a holiday fruit tray! What?! Yes you need to try them! I have always wondered how to make these! I love this! I always assumed it was a lot harder! I’ve always wondered how to make these! I didn’t realize they were so easy!